Who do you support? Animal Helpers? If you think PETA & HSUS are Animal Helpers, you need to do some homework! If you want to keep your rights beware of animal legislation in your area and fight it! This is spreading like an epidemic. Click on the links below for more info or surf the web. You think you know HSUS? You don't know Wayne! 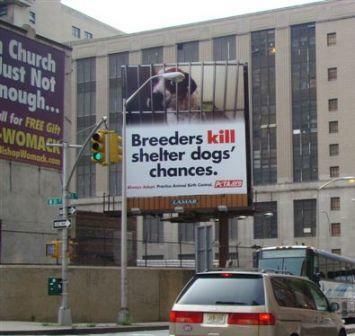 This is just one of the Ads in PETA's campaign to end the breeding of all pets and domestic animals. No breeding will eventually = no pets. Hug your dog today as it may be your last one. Be careful which animal welfare groups you support. They may seem to be helpful today, but find out the "true price" you will pay in the future. Support your local shelter instead. People and dogs share a deep and abiding bond. Selective breeding has produced a wonderful diversity of well over one hundred specialized breeds which benefit people in a host of economic and emotional ways. 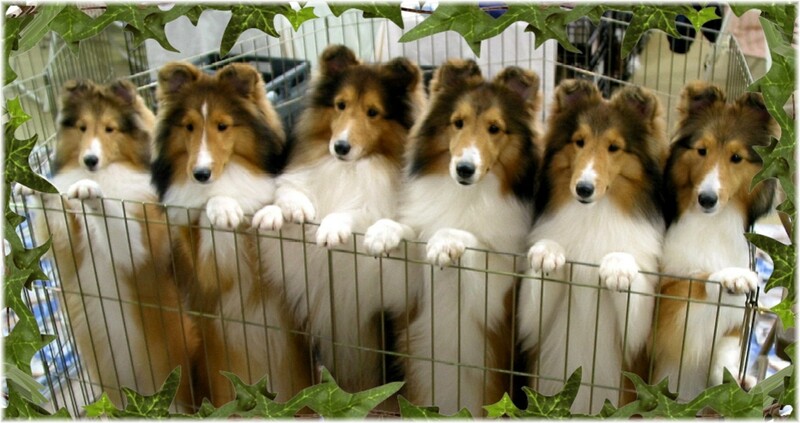 We deepen that bond by competing with our dogs in conformation shows, agility, herding, and obedience. ASSA supports humane treatment for all dogs, education, voluntary spay/neuter for non-breeding animals, genetic research, and ethical breeding practices, including health screenings, which mean longer, happier, healthier lives for dogs. ASSA opposes the most radical portions of the agendas of groups such as HSUS and PETA. These agendas are not intended solely to promote the welfare of dogs, but seek to bestow on them rights, in some cases equivalent to those of human beings. They want to ban breeding of all domesticated animals, including purebred dogs. Join us in fighting radical animal rights legislation!